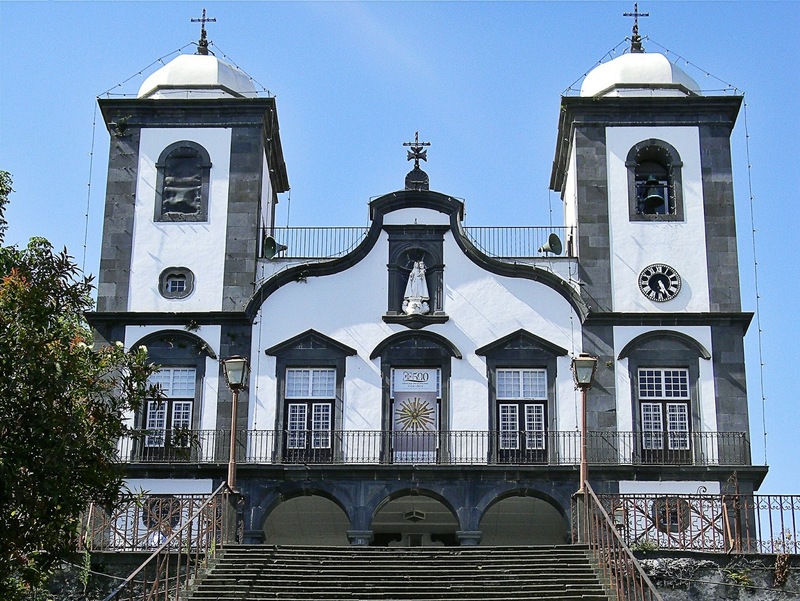 Funchal, the capital of Madeira, is famous for being the birthplace of football star Cristiano Ronaldo. With warmer weather than many other parts of the island and a variety of things to do, you'll find yourself in awe of the sheer size of this city! 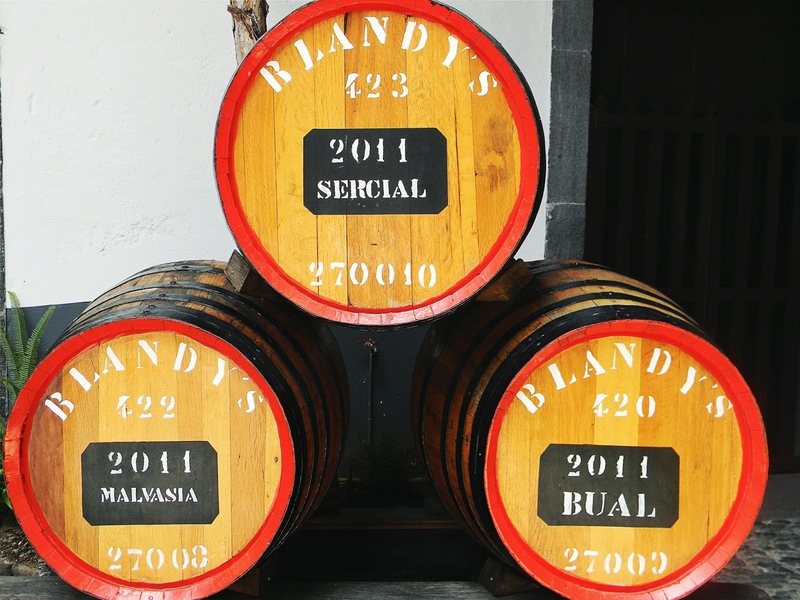 Our 1-day walking itinerary begins at Cristiano Ronaldo's CR7 museum followed by some Madeiran wine tasting at Old Blandy's. Then it's off to Monte for the must-do's on the island: a beautiful cable car ride followed by some traditional tobogganing. Enjoy! 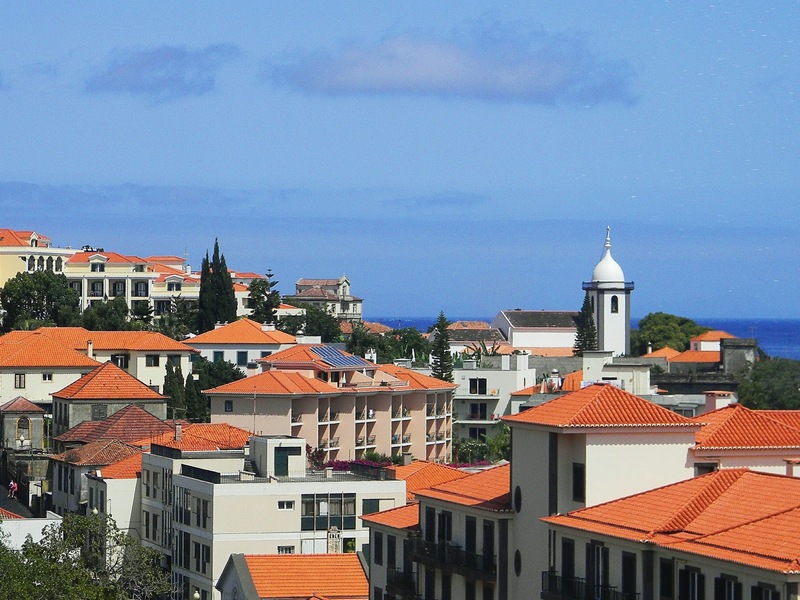 During my time in Madeira, my family & I stayed in Caniçal - a town on the easternmost side of the island. On this particular day, it was a bit cloudy outside but still warm so we decided to head to Funchal & do some indoor activities until the weather cleared up, which it did. It takes 30 minutes to get to Funchal from Caniçal. We parked underground along the Avenida Sá Carneiro just opposite to where the cruise ships dock. 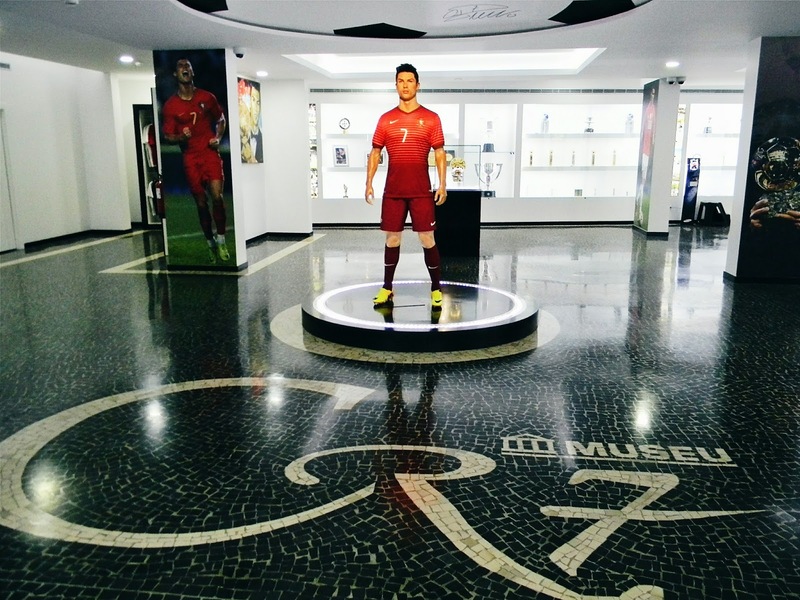 Our first point of interest for the day was Cristiano Ronaldo's museum, a short walk up from where we parked. Entrance is €5 per person. Being Portuguese and massive football fans, we really enjoyed our visit here. It houses all of Ronaldo's trophies and more. The interactive points, where you can pose with a Ballon D'Or trophy, hologram Ronaldo and wax figure Ronaldo, also added to the awesome experience. From the museum, we walked along the harbour until we reached the marina area. We then went up Avenida Zarco and then left onto Avenida Arriaga. This is one of the main roads in Funchal with a beautiful view of the cathedral and it also has nice cafés. Old Blandy's wine lodge is located here. We took the Premium Tour at €5.50 per person, which includes a tasting of 2 wines afterwards. There are 2 other tours one can take, a basic tour costing €3.30 and a vintage tour costing €13. Times also vary per tour so it's best to check this out beforehand. The tour was really interesting and the wines tasted good! We then walked to the cable car terminal along the harbour in Funchal. This is the most scenic way to reach Monte, a village higher than Funchal. It costs €10 per adult for a one-way ticket and €15 per adult for a return-trip. We chose the one-way trip because we planned to toboggan back down. The views from the cable car were amazing!! Awesome method of transport. Note that a souvenir photo will cost you an additional €10. You will also be enticed to the souvenir shop at the top for a free tasting of your choice. We tried to resist purchasing souvenirs here as there are cheaper shops elsewhere on the island. 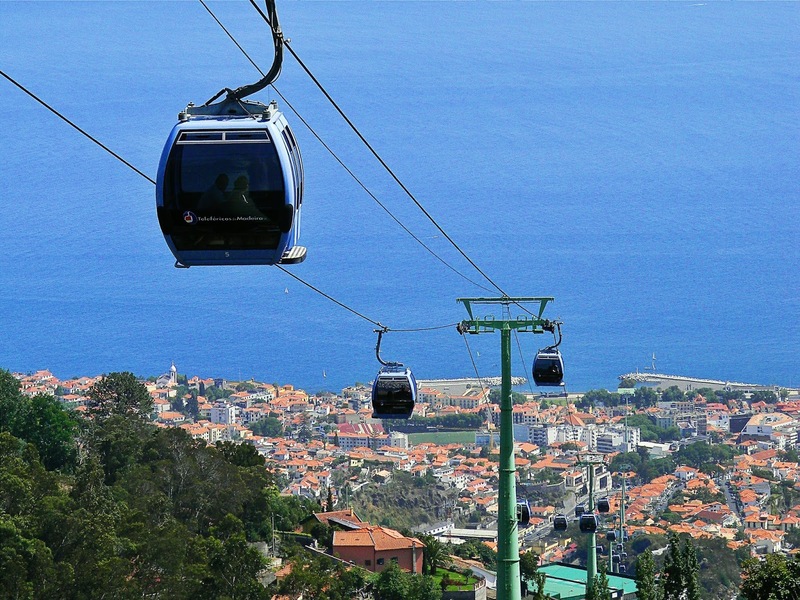 The cable car ends in Monte, a charming little village with views of Funchal below. One can visit the Monte Palace Gardens here. We walked to the church, famous for it's many steps to the top. A beautiful spot to take a break. Below the church you can watch the tobogganing take place. 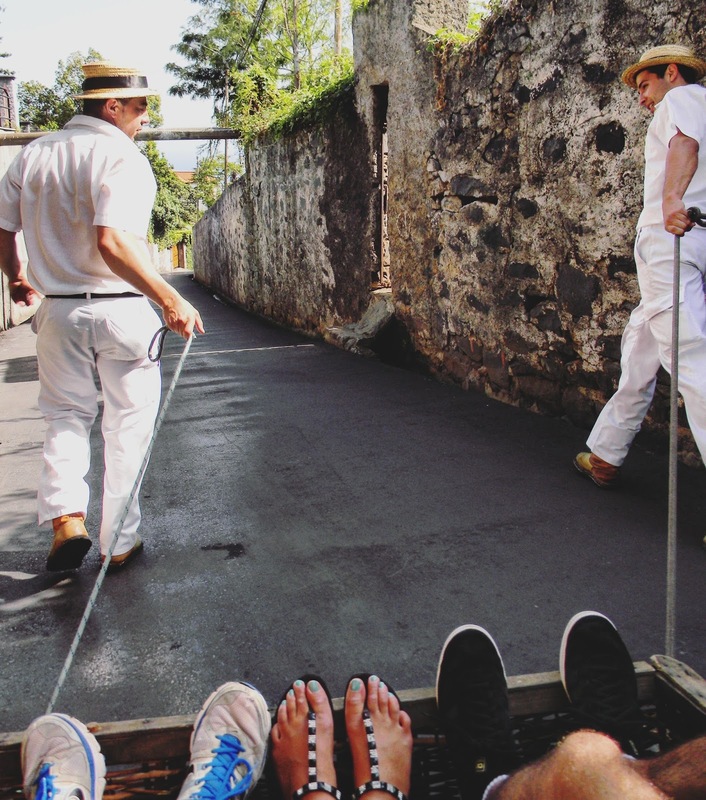 Back in the day, locals used this traditional form of transport to travel from Monte to Funchal. Nowadays it's one of Madeira's top tourist attractions! It costs €15 per person, which is a bit pricey, but the experience is unique and thoroughly enjoyable! Two or three people can fit in 1 basket - though the price remains the same per person. Buying a photo at the end will cost you €10 for one and €15 for both photos. Please note: the toboggan ride does not take you all the way down to Funchal - it stops about 2km down from Monte, leaving about 6km downhill to reach Funchal. DO NOT take a taxi down! It's a ripoff. We walked the distance downhill and thoroughly enjoyed it. It is rather steep though so if you don't want to walk, rather take the bus to Funchal. All in all, a great day!